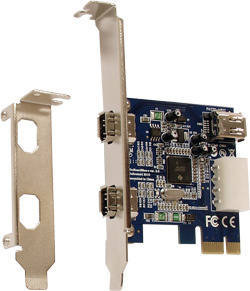 View cart “Fireboard-800 V.3 1394b PCI adapter w/ FireAPI license” has been added to your cart. 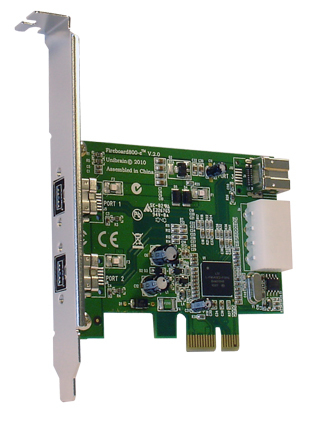 Fireboard800-e V.2™ is the second generation of Unibrain`s succsfull one-chip, native 1394b to PCI express firewire adapter. 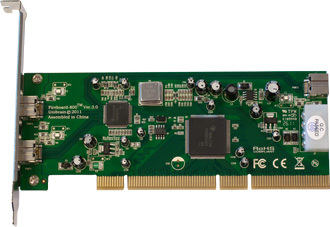 The adapter is based on the latest revision (2) of LSI FW643-E PCI Express 1394b Host Controller. This board is delivered with a built-in hardware key that unlocks Unibrain’s Windows 1394b (Firewire-800) drivers and acts as a license for FireAPI Development Toolkit.